Statues- an interesting topic this week. Statues would seem to run the gamut from commonplace to exotic, large or small- like the Maltese Falcon or the towering statues of Argonath in Middle Earth. Perhaps a smallish idol lost in the steaming jungle, in a crumbling temple lit by strange lights- guarded by the shadows and silences of a lost city- or by powers beyond human understanding. I always find it interesting to see where my picks come from- which genre, how hard I have to look, etc. Every week is so different. Another Nancy Drew cover, I like the rough seas and it sorta conveys a sense of danger. I'm assuming that's a statue he's standing on? Pulpy goodness- I never start with these but when I have trouble finding some I hit the pulps! And usually something turns up- in this case I have no idea what's going but statue so OK. And I do like the sense of a glittering cityscape behind them, through the windows. I kinda like Mystery of the Maya here. It looks fun and like a book I would have enjoyed as a kid. I did read some of these, they're not really that good but it's a neat idea. 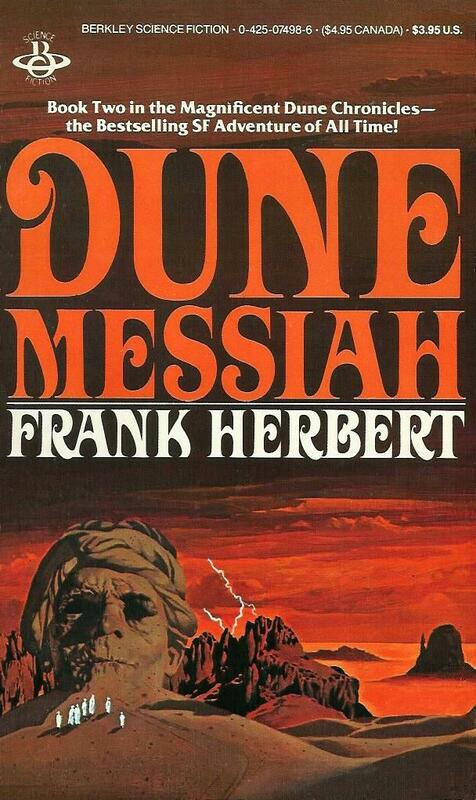 This one is kind of striking with the head in the sand and the white robed figures. This is a favorite just for the towering statues looming as they sail towards Rohan. This one might be my favorite, narrowly. It just has a certain look to it- and I have a fondness for some of these. I like her face juxtaposed with the tree, it just works. Nice picks, especially the Nancy Drew titles -- I remember both of those at least vaguely. 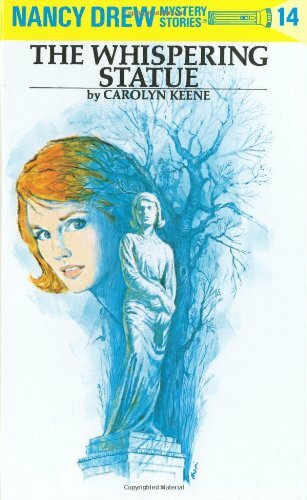 I enjoy going through the Nancy Drew cover art- a lot of those I recognize from a kid too and it's nice to see em again. My favorite of these is the Percy Jackson one. I like the Lord of the Rings cover and After the Rain. Gosh, I haven't a Choose Your Own Adventure in years. That was fun to see them. Some great covers this week. You rocked this post. Thank you! This one started out rough and got better as I found some good covers. :) I like both of those as well, After the Rain looks very apocalyptic! 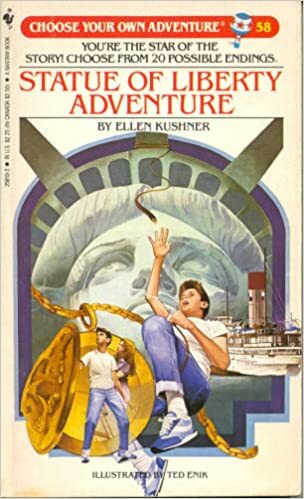 And Choose Your Own Adventure- I loved those as a kid and I always enjoy looking at them again! Nancy Drew covers are always my favorite but all of these are pretty great. I think I like The Secret of the Wooden Lady a little better but that's probably because I vividly remember reading the book so there's a sentimental connection there. I like searching through the Nancy Drew and other juvenile mystery covers, there's so much good stuff there! Whenever I find a good match I'm like yesss. :) They had so many good ones. I found a website a while back that looked at all the ND covers and had details on the different versions very interesting. 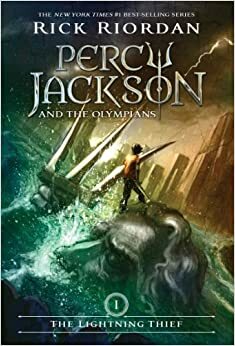 I always seem to like the Percy Jackson covers (don't worry, that definitely appears to be a statue), and that Lord of the Rings cover is gorgeous! I mean, imagine actually seeing those statues in real life. But also the fogginess and the light and the colors, it's really just a great cover. Yeah I would like to see those in real life- definitely. Very inspiring. The Lord of the Rings one was almost my fave- I like the green water and just the whole thing. I've seen different versions of that scene and that's one of the best. I'd have to agree that the Lord of the Rings cover is my favorite too. There aren't a lot- it took me a while to find these. And LOL about scooby Doo- yeah I can see that. :) Some of the older ones are pretty silly. I can't believe I didn't pick any of the Nancy Drew covers! I love all of yours! Thanks! I wasn't sure about this topic but in the end I liked most of what I found. 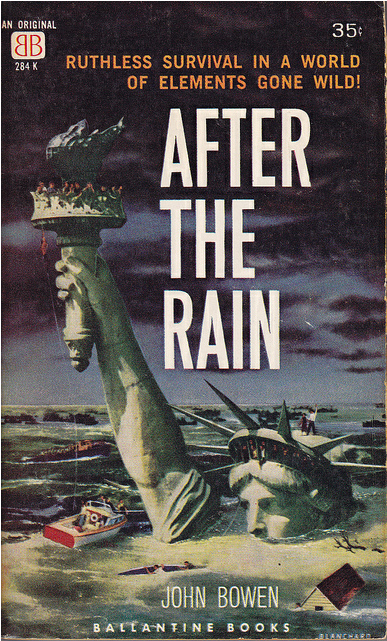 These are great statute covers. Kudos! 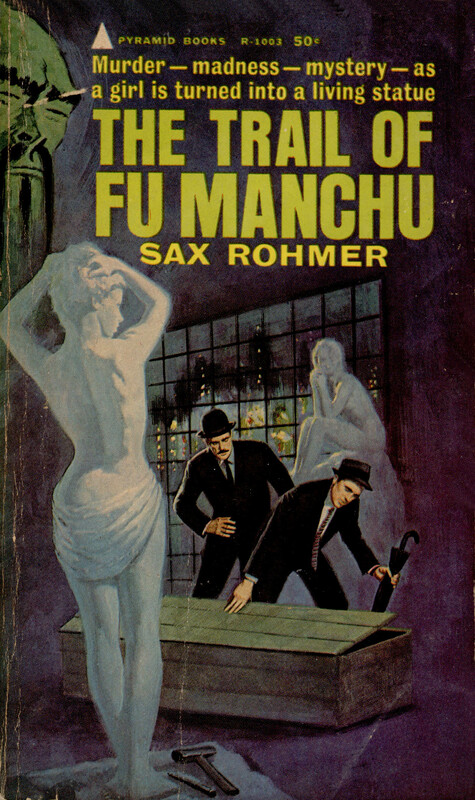 I struggled to even think of a cover I'd ever seen with a statue on it! This was a tricky one! Statue is an interesting topic! I would think it would be a hard one to dig-up. I love the old Nancy Drew covers. The Secret of the Wooden Lady one is pretty awesome. Nancy Drew, Percy Jackson and LOTR! So much epic-ness!